Do you know the type of person you are and how this impacts on your working relationships? Our communications team recently undertook Insights training to assess this and to find ways they can improve their teamwork. Find out how they got on. Getting to grips with the nature of reality first thing on a Monday morning isn’t something you might tackle normally. But this wasn’t a usual Monday morning for the communications team, as we were undertaking training with “people developers” Insights. Insights is a global organisation, “helping to transform individuals, teams, and organisations”. They’ve supported many companies – including Microsoft, Nationwide and Philips – to help team members understand themselves and others. A few weeks before the onsite training day we were asked to complete an online Insights Preference Evaluator. This involved answering a series of questions designed to provide insight into what type of person you are. The Insights Preference Evaluator is based on the psychology of Carl Yung, in particular Jung’s model of personality, which was first developed from his work Psychological Types in 1921. As Jung said, “Every advance, every conceptual achievement of mankind, has been connected with an advance in self-awareness.” And self-awareness is what the training is all about. 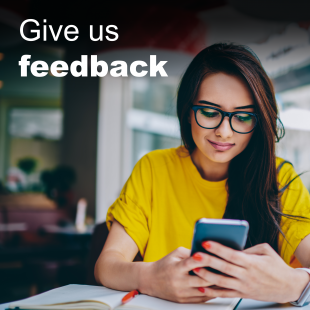 Using Jung’s framework to evaluate your answers in the Preference Evaluator, the Insight’s team can create your Discovery Profile. This is essentially a report showing you the type of person you are, how you interact with people, in addition to your strengths and weaknesses. It sounds a bit creepy, but it’s actually very beneficial. On the day of the training, we got to see our report and everyone thought it was accurate. In fact, scarily so. Reading the report back to my wife later that evening she felt the same way (did Jung know me better than her?) and although some points raised didn’t accurately reflect what I’m like as a person, I’d say 95% of it was spot on. As you can probably imagine for a comms team we have our fair share of extroverts but we have introverts too, and the report and activities on the day showed this. Most people are probably aware of these terms and think they can probably place their colleagues on one side or another, but as we learnt, we shouldn’t be putting people in boxes – we’re not box-shaped for a start! 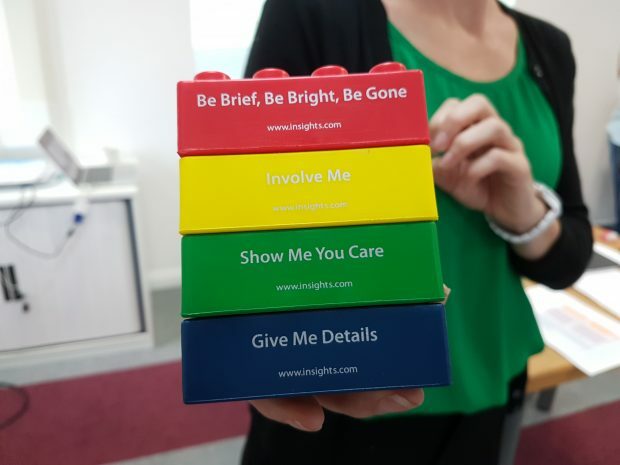 The Insights training doesn’t just show if you’re an introvert or extrovert, it provides you with a breakdown of which dominant colour you are, your secondary colour and so on. The colours match a personality trait and there are 4 in total, to give you a brief overview they are: cool blue (observer), earth green (supporter), sunshine yellow (helper) and fiery red (director). There’s no right or wrong colour. We could see from the report and training activities that our team has a rough split between dominant colours of yellow and green, but also splashes of red. Although where we lacked in dominant colours of blue (more introvert, observing), this was made up by team members who had this as their second dominant colour. The most interesting part of the course for me was in the report where you could see your persona, defined in these colours, in a conscious and a less conscious way. In other words, your persona that you’re aware of, the one you consciously promote to others, and the one you’re less aware of. It also provides you with a ‘preference flow’, which shows you what colours you ramp up or dial down to compensate. So what does it all mean? Well, for a lot of people it was a great opportunity to find out about different personality traits and how we can understand each other better. For example, we learnt that some people need to know the bigger picture and not get bogged down with details, and for others detail is the most important thing. Also, a verbal instruction works well for some, but others prefer them written down. I feel we gained a lot from the course and can certainly understand each other better and ultimately improve the way we interact. Exploring the nature of reality wasn’t such a bad thing, even if it was a Monday.